Putting myself into the shoes of a fourth grade student, I can’t imagine a much more dry, repetitive, and boring task than filling out worksheets with numbers that don’t mean anything. As I prepared to start a new unit in math that required students to read, write, evaluate, compare, and solve equations with an unknown value represented by a variable, I was thinking of ways to make it fun and memorable. Recently, I attended a National Council of Teachers of Mathematics (NCTM) conference in Seattle, WA, and I was in number nerd heaven. I picked up a few books, got some great ideas, and stretched my mind in the area of mathematics instruction a bit. One of the presentations was lead by Steve Wyborney, a math coach from Oregon. Steve introduced a game he created called Splat!, in which a number of blue shapes are covered by a splat (think ink blot). Students then determine the value covered by the splat. There are multiple version of Steve’s Splat! game (including multiple spats and fractions), and you can use his Google Slides or PowerPoint files to create your own Splat! games, too. How does this help make equations fun? Well, students can write equations to find the answer for the unknown value covered by the splat(s), using a variable(s) for the unknown. You can have students write related equations as well, using inverse operations. Each Splat! game only takes a few minutes, and students love that they’re playing a game. Another fun way to play with equations has been to give students logic games where an abstract object represents a numerical value. An example of this can be found on the University of Cambridge’s NRICH site. In What’s it Worth?, students determine the value of shape symbols in an array, solving for the unknown sum of one column. My students have had fun with this and related activities (see the bottom of the What’s it Worth page) because they forget they’re “doing math.” After my students completed this activity, I explained how they were using what they’d learned about reading, writing, evaluating, comparing, and solving equations, the entire time. These rich, high-level tasks only take 15-20 minutes each, and they provide huge opportunities for students to experience productive struggle. My only suggestion (other than to try these activities with your students) is to step back and let them have at it. Let them struggle—it’s part of the fun! There is danger in scaffolding rich, high-level tasks too much, which robs students of the ability to produce real, lasting gains in mathematics. A major, unfortunate finding was that teachers in U.S. classrooms almost always, and far more than higher achieving countries, lowered the cognitive demand of high-level tasks, turning opportunities to engage in reasoning and sense making into procedural steps to memorize and follow. Higher achieving countries, conversely, were more successful in maintaining the high-level demands of tasks during implementation, and thus, provided their students with more opportunities to engage in understanding the underlying mathematical ideas for procedures, make connections among concepts, and engage in mathematical reasoning and problem solving. Huinker, D., & Bill, V. (2017). Taking action: Implementing effective mathematics teaching practices in K-grade 5. Reston, VA: National Council of Teachers of Mathematics. Pg 62-63. 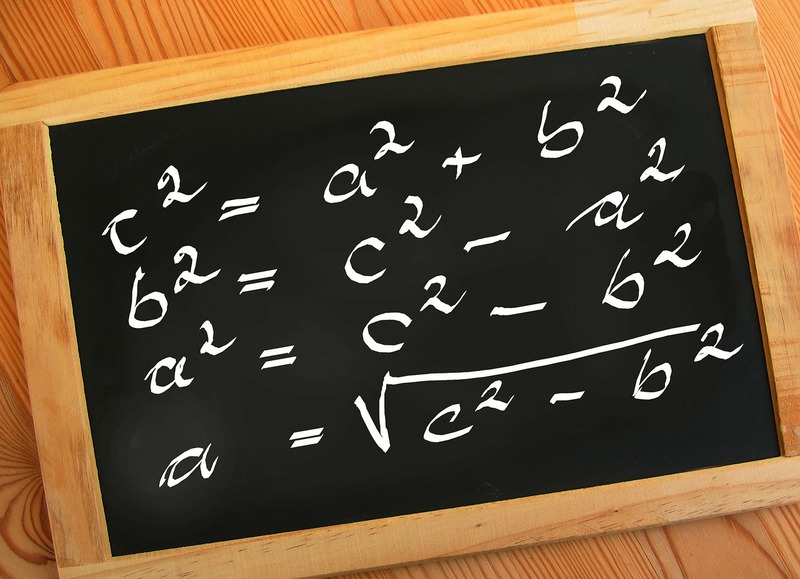 Have you found other ways to play with equations in your classroom?